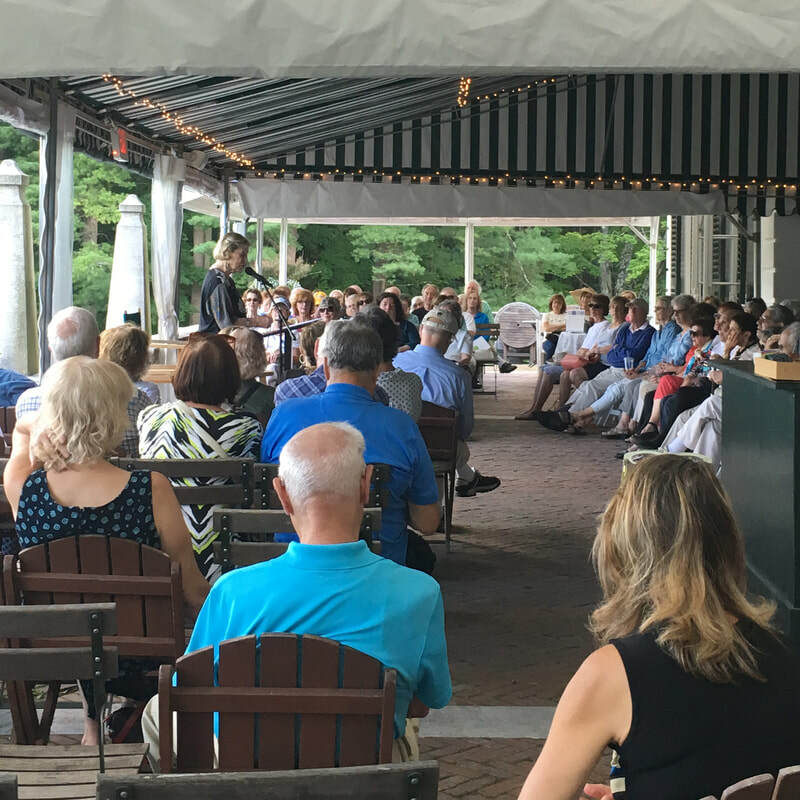 Sally-Jane returned for her annual reading of Edith Wharton's, "The Mission of Jane" at The Mount on Wednesday July 18. "You managed to create both vocally and with the most subtle physical gestures create 4 very distinct and knowable characters... WOW to me that's acting of the first order!" Sally-Jane will read from Charles Dickens, "The Ghost of Christmas Past" and perform excerpts from her memoir on the relationships and realities of holidays that resonate with all of us. This performance is part of Storrowtown's annual FREE winter holiday festival. Tour Storrowton's 18th & 19th century buildings, seasonally decorated by area garden clubs, florists and decorators. Join us for musical performances, storytelling, old-fashioned craft demonstrations, ice sculpting, Sweet Shoppe, kids' crafts, and old-fashioned Santa and much more. Holiday gifts, decorations and many unique items are available in the Gift Shop and Christmas Shop. Sally-Jane returns to The Mount for one her favorite Berkshire summer traditions! Enjoy a summer afternoon on The Mount’s view-rich Terrace while listening to Wharton’s short stories read by professional actors. These stories showcase Wharton’s gift for social satire. ​Gardens are open for strolling. Wine and other light refreshments are available for purchase. The readings begin at 5 pm on the Terrace. 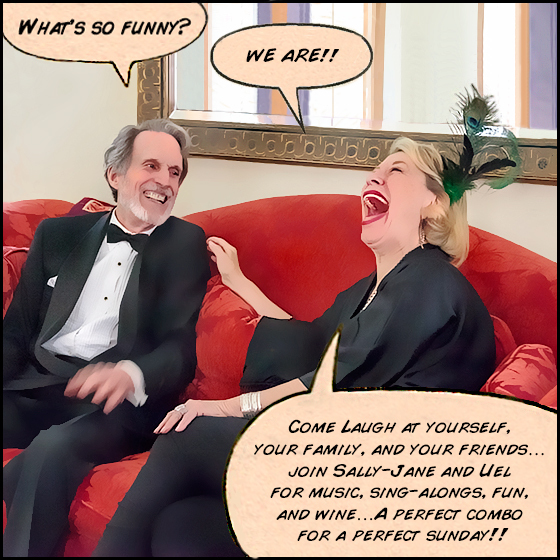 Sally-Jane returns to Pine Run Village with her timely performance of Everything Old is New Again with Musical Director Uel Wade. 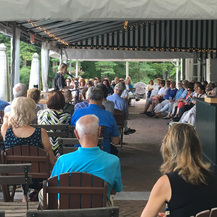 In her benefit for Berkshire Music School Education Programs, Sally-Jane Heit entertained a full house with her latest show, My Alternative Facts of Life, bringing her irreverent stories, skits, and songs to life with music, comedy, and other “truths”. Sally-Jane was be accompanied by Musical Director, Uel Wade. Sally-Jane is always thrilled to share her passion for Cabaret. 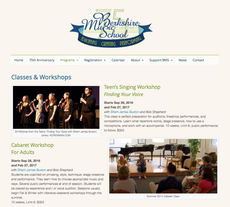 As guest artist at Berkshire Music School she shares her experiences with teens and adults who are carrying on the the tradition. 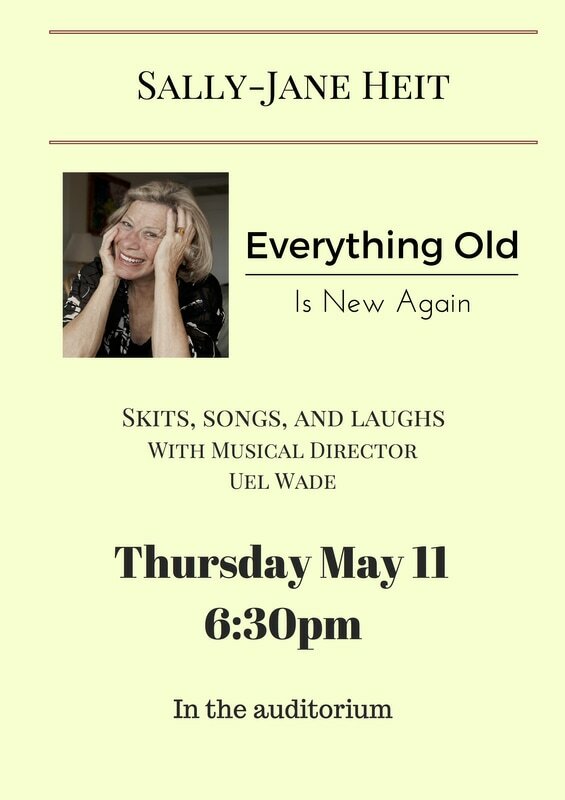 In a performance to benefit Temple Beth Shalom, Sally-Jane Heit proved that "Everything Old Is New Again" (ask her plastic surgeon). 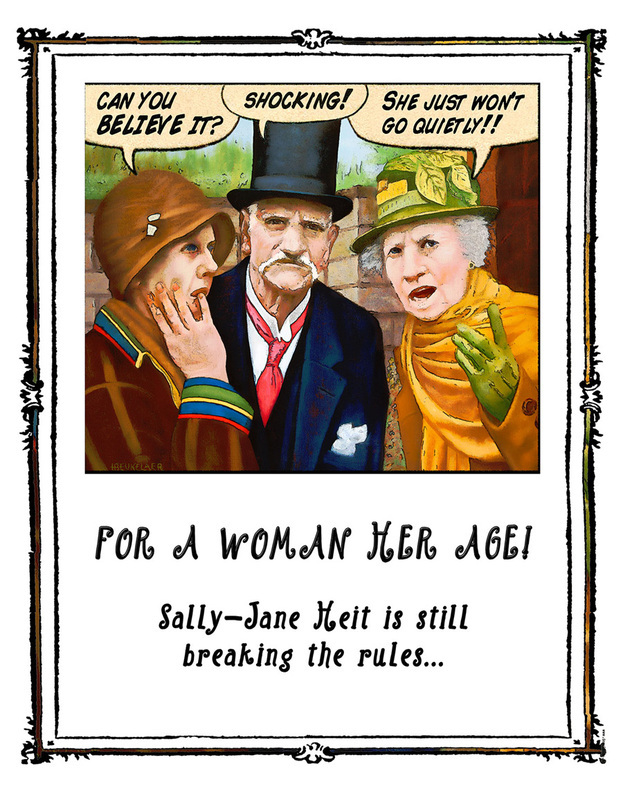 Through her own cast of characters – single and married, old and young, and everything in between, Sally-Jane irreverently, dramatically, musically and in technicolor proves her point. Accompanied by pianist Bert Dalton. Sally Jane read Edith Wharton's, "The Mission of Jane"
The perfect choice for Sally-Jane, this witty and humorous work of Edith Wharton's had the audience captivated and amused. It was clear why Edith Wharton’s writings continue to captivate readers and win Wharton new fans! Enjoy Wharton on Wednesdays on The Mount’s view-rich Terrace while listening to Wharton’s short stories read by professional actors. Gardens are open for strolling. Wine and other light refreshments are available for purchase. Sally-Jane Heit mounted her own primary at The Mount on Thursday May 12, 2016. In the glorious setting of Edith Wharton’s Drawing Room, she set out to prove that Everything Old is New Again (ask her plastic surgeon). 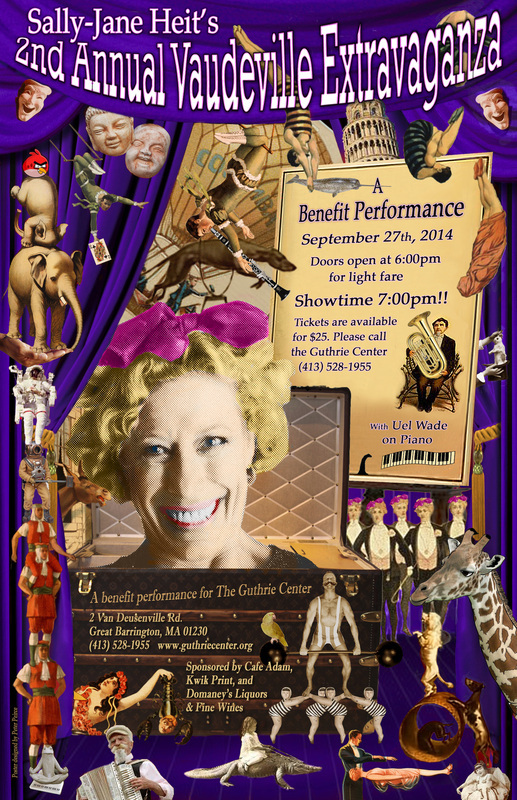 An exclusive one-night-only benefit for the Old Santa Fe Association. Sally-Jane read, The Mission of Jane at Edith Wharton's home, The Mount on Wednesday, July 15th, at 5 pm. 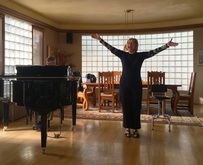 A private salon performance in Sanibel, FL. If you will be in the area and are interested in attending or would like to schedule a Salon Performance, please email info@sallyjaneheit.com. Sally-Jane performed among a select group of comic and compelling women presenting at a special BFWW Event. A benefit for The Berkshire Festival of Women Writers. 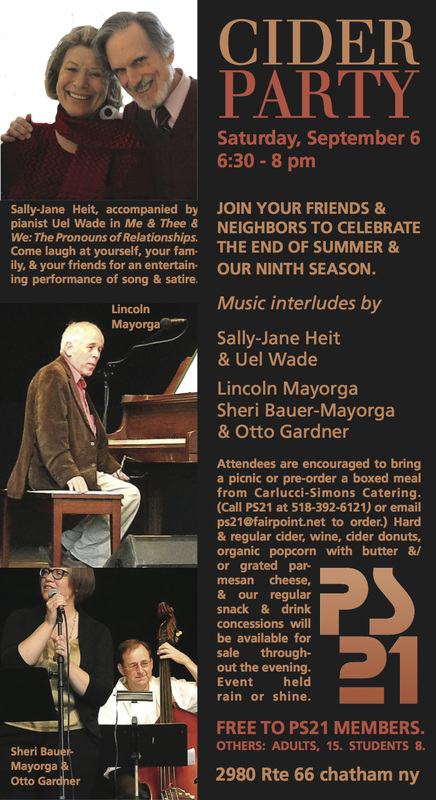 A benefit for PS21 Chatham.